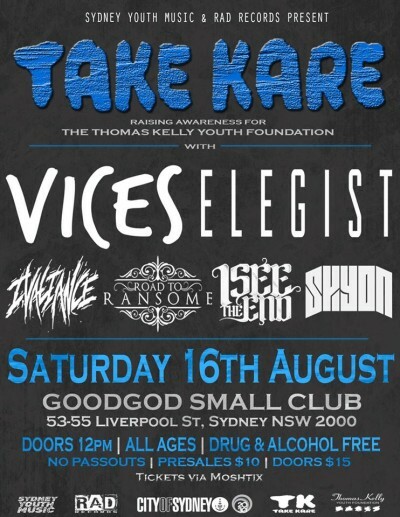 Sydney Youth Music and Rad Records are teaming up for a very special daytime show, with Vices and Elegist co-headlining, to support the Thomas Kelly Foundation! This very special all-ages show is drug and alcohol free, and has been put together to create a safe live music environment for the city’s younger audiences, while aiming to promote safety around alcohol consumption. For full info, check out the Facebook event.